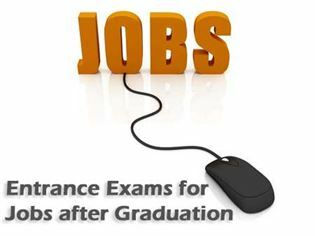 After graduation one does not necessarily have to do a post graduation degree course or a diploma for a successful career. Many students may not have the interest to study further or research further. Many my may have to support the family and may not have the time to go on trying post graduation options. One can have a sparkling career in any of the options listed below; where the candidate can appear for exams straight after graduation and secure himself/herself a fine career and a reliable future. The most safe and sound of all jobs seem Teaching, Railways, UPSC, and banks. The major reasons behind such preference being: job security, handsome salary, low work pressure, and various allowances. Combined Engineering Services Examination (CES) is conducted by the Union Public Service Commission ( UPSC ) of India. The UPSC conducts the Combined Engineering Services Examination for recruitment of engineers to the four categories of Engineering Services : Civil Engineering, Mechanical Engineering, Electrical Engineering and Electronics & Telecommunication Engineering. Engineers selected through the Combined Engineering Services Examination are appointed to various posts in governmental organizations like the Indian Railways, Central Engineering Service, Survey of India, Indian Ordnance Factories Service ( Engineering Branch ), Military Engineer Services, Indian Telecommunication Service, Central Power Engineering Service, Central Water Engineering Service etc. Combined Medical Services Examination: UPSC conducts computer based combined medical examination for recruitment to the services and posts of Assistant Medical Officer in railways, Indian Ordnance Factories Health Service, junior scale posts in central health services, etc. For admission to the examination, you should have passed the written and practical parts of the final M.B.B.S. examination. Graduate Aptitude Test in Engineering (GATE): GATE is jointly conducted by the Indian Institute of Science and seven Indian Institutes of Technology for admission to PG in Engineering.GATE Scores are also used by PSUs for conducting recruitment. Central Teacher Eligibility Test (CTET) is organized by Central Board of Secondary Education for aspirants having desire to join Central Government Schools such as NVS/ KVS/ Tibetan School etc as a Teacher. It is an All India level entrance exam conducted every year. States who do not organize Teacher Eligibility Test recruit candidates on the basis of their CTET score only. ICICI PO Exams: ICICI Bank PO exams are for Indian Nationals for appointment of Probationary Officer. ICICI Bank Probationary Officers Recruitment includes one-year training programme on selection.